Eric was born and raised in southern Maryland and graduated from the University of Maryland. In his last position as a Department of Defense contractor, Eric planned and managed logistics for specialized training courses and programming for the Navy. His prior experience includes planning live events and managing operations with the University of Maryland Athletics Department and the Southern Maryland Blue Crabs baseball team. 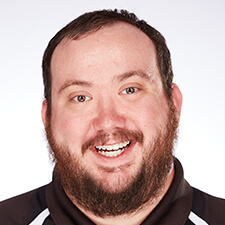 Eric enjoys going to sporting events (Maryland Terrapins, Washington Capitals, and DC United especially), cooking (especially grilling), and being outside when the weather is nice.